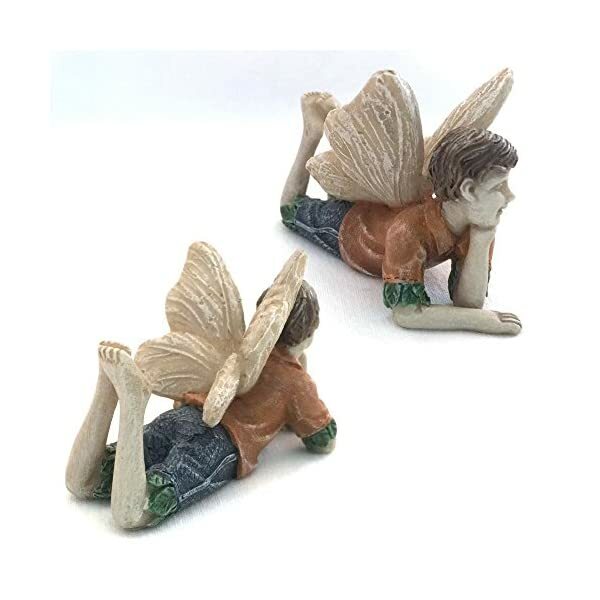 PINT-SIZED MAGIC – Fairy Kingston is the perfect accent for any miniature garden. 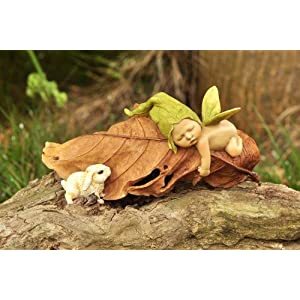 This cute little pixie, measuring 2-3/8” long, protects the nature that surrounds him. BEAUTIFULLY HAND-PAINTED – Kingston wears an orange shirt and denim shorts, with green leaves jutting out of his sleeves and pant legs. This young fairy has butterfly wings that give him an ethereal quality. 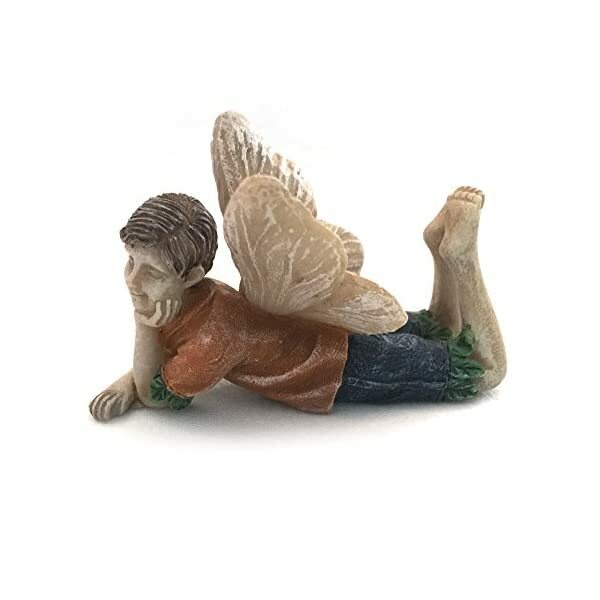 Add enchantment to your miniature garden with this delightful boy fairy figurine. 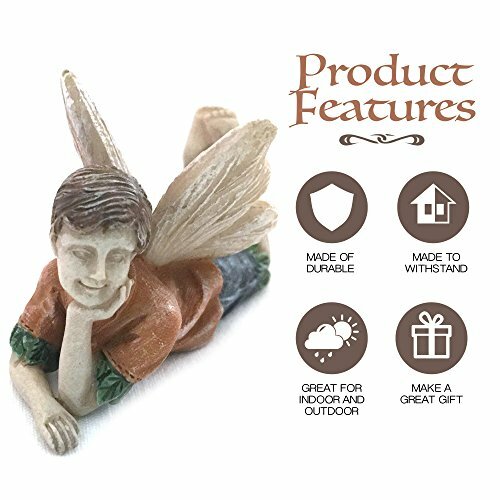 Meet Kingston, a charming young fairy who will enhance any Lilliputian landscape. Sporting a pair of butterfly wings, this sweet boy is lying on his stomach admiring the beauty around him. 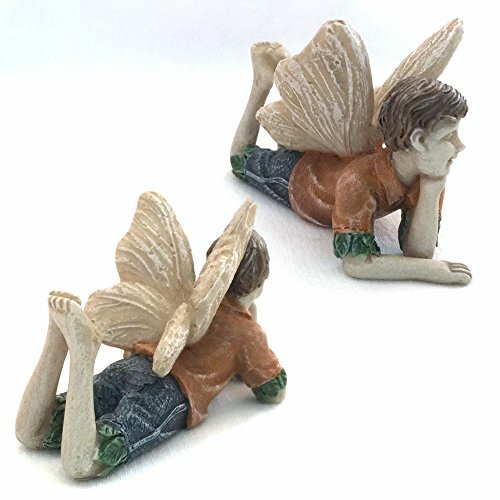 Measuring 2-3/8 inches long and 1-9/16 inches high, he’s the perfect size for a fairy garden. This pocket-sized sprite wears an orange shirt and denim shorts with leaves peeking out of his sleeves and pant legs. With his feet in the air and his chin propped in his hand, Kingston smiles sweetly at the landscape. 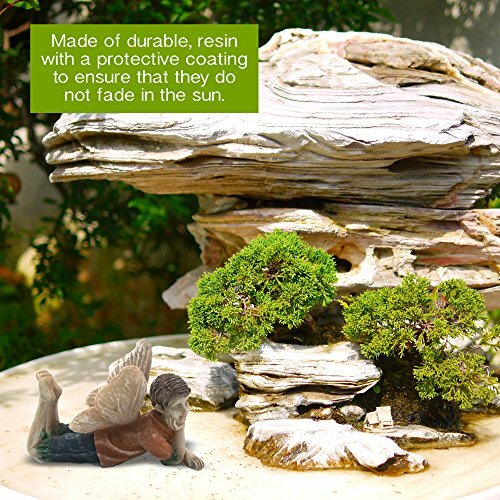 A delightful finishing touch for any miniature garden, the limited edition Kingston figurine is cast from high quality resin and hand painted in exquisite detail. 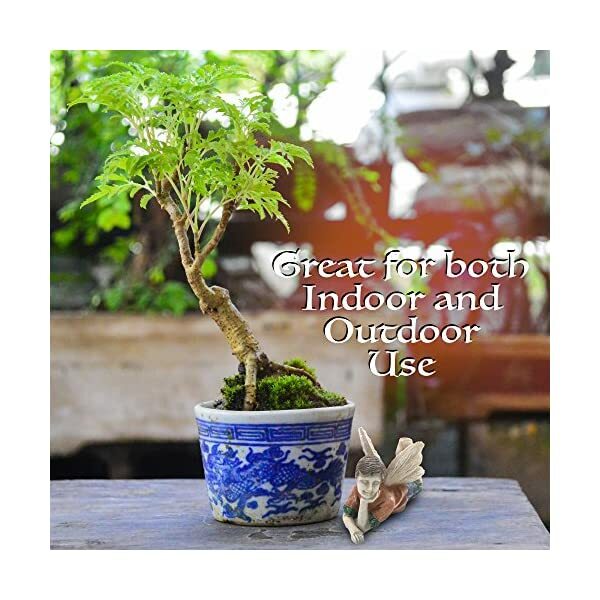 Coated with a protective finish that prevents fading, Kingston is suitable for use in both outdoor and indoor gardens. 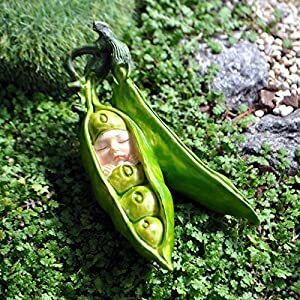 Creating a fairy garden is a fun and creative hobby enjoyed by both adults and children. 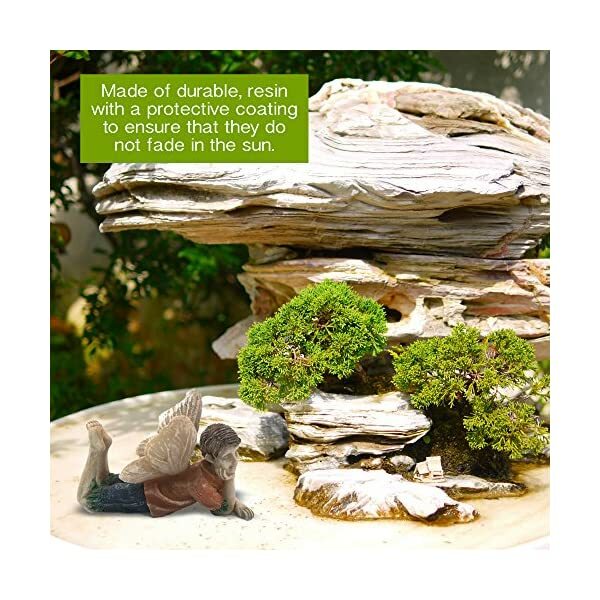 These miniature landscapes are made even more magical with the addition of this high quality ornament. 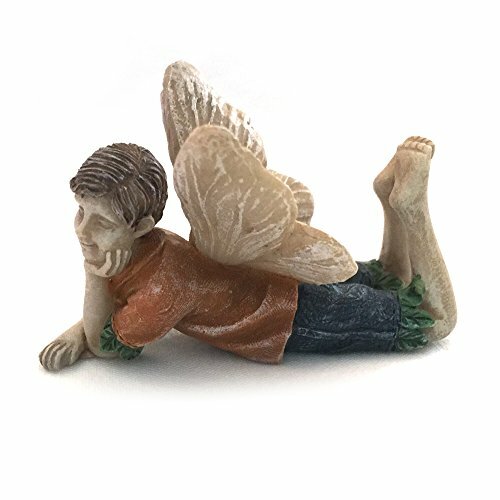 Add some whimsy and personality to your miniature fairy garden – order your own Fairy Kingston today! 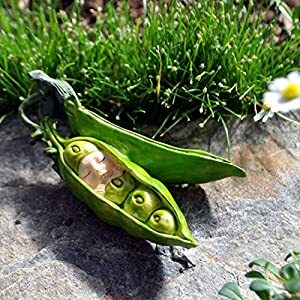 WARNING: CHOKING HAZARD – This miniature figure is a small item and is not a toy. Not suitable for children under 3 years old. 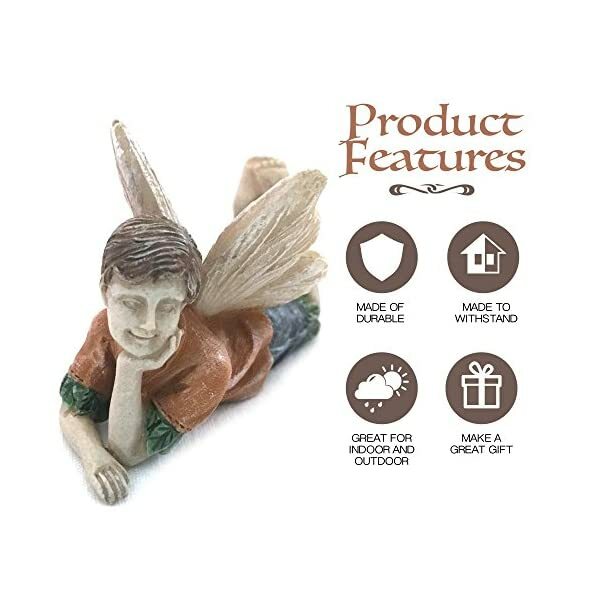 USE OUTDOORS OR INDOORS – Made from a high quality, durable resin, the figurine has a protective coating that prevents fading from the hot sun. 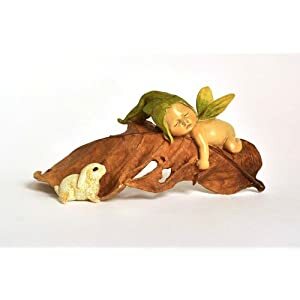 A WHIMSICAL TOUCH – Fairies add charm to every miniature garden. Kingston lies on his stomach with his feet in the air smiling sweetly at the beauty of his environment. 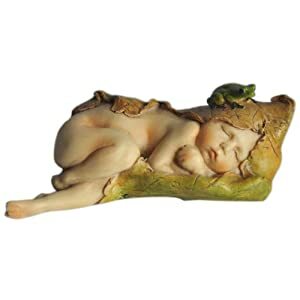 A THOUGHTFUL GIFT – Who wouldn’t love this adorable little fairy? 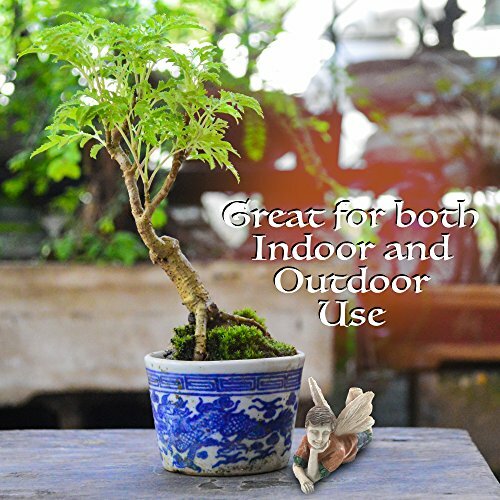 Although he is designed for a garden, this limited edition imp will feel right at home on a table or shelf.